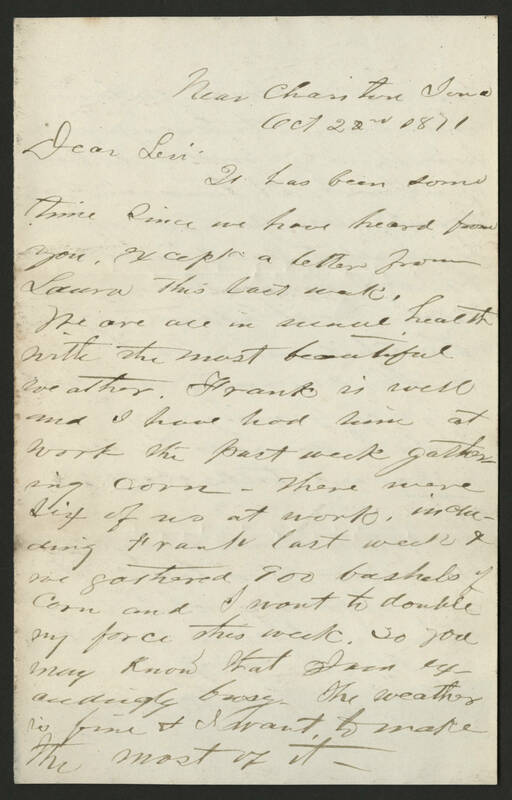 Near Chariton Iowa Oct 22nd 1871 Dear Levi: It has been some time since we have heard from you, except a letter from Laura this last week. We are all in usual health with the most beautiful weather. Frank is well and I have had him at work the past week gathering corn - There were six of us at work, including Frank last week & we gathered 900 bushels of corn and I want to double my force this week. So you may know that I am exceedingly busy. The weather is fine & I want to make the most of it.